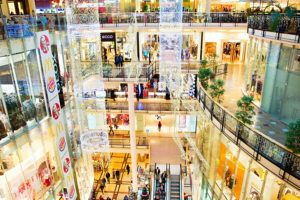 Shopping Centers and Malls typically go one of two ways in HVAC. Rooftop package units are self-contained or Split systems. This is because both systems work exceptionally well with both Chilled water, and fan coils. Hypothetically say a customer wants to rent a larger space in the mall but because the former tenant had less space and a package unit is sitting on the roof it cannot supply enough cooling or heating. The chiller is able to add a larger unit in this larger space. There may not be enough room on the roof where you can add another package unit without compromising the next rented space. In most cases the mall will tell the tenant or facility management company that they must maintain the malls units when it comes to PM Service. In many cases they will also demand a report or Analysis of the HVAC system yearly to make sure the malls interests are being protected. After all, you are merely renting there machine for the duration of your lease so washing of condenser/evaporator or chilled water coils is something that must be followed. The objective in any mall is to provide entertainment alongside high quality shopping experiences that push visitors to convert into paying customers. Whether you are a store inside of mall looking for loyal AC repair services, or mall management seeking great AC repair services we know exactly how important the quality of our services are. Whenever you have a failing AC system, the environment that encourages your customers to spend money is compromised. Shoppers inside of malls prefer your location more than storefronts for two main reasons. First, indoor malls provide shelter, and comfort away from harsh weather. 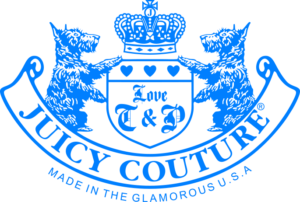 Second, because they offer an all in one shopping experience amongst different stores. 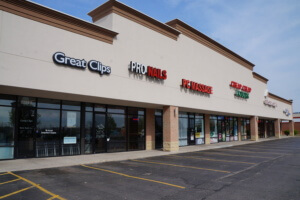 When you have a downed AC system, your shoppers have countless entertainment sources, and stores within walking distance that are far more comfortable. This is why you need immediate access to fantastic repair services. Air Repair has over 60 years of experience servicing malls, and we would be happy to share our talents with you as well. 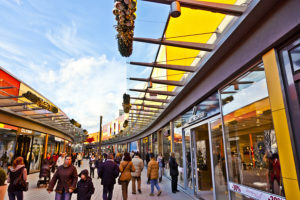 Properly installing AC systems in malls, and outdoor shopping centers is a delicate task. It should only be handled by those with enough experience to understand all of the variables involved with malls. For instance maybe you need a brand new system installed but the roof access is remarkably slim, because the unit would interfere with another stores system. These types of scenarios are bound to occur when dealing with AC system Installation for malls, and open air malls. It’s important that you work with an HVAC company that has experience with AC installations in these locations. Air Repair provides affordable, high quality AC installation with the entire goal of making sure your store or mall keeps its guests happy. Indoor malls act as a safe haven for shoppers to avoid the cold weather and still go out. When your heating systems fail, it creates a loss of quality for your customer’s shopping experience. Throughout the winter getting repairs for any malfunctioning equipment should always be a top priority. Losses in comfort to the customer, present the risk of losing sales. That’s why you need fast heating repair services ready to go. Air Repair has worked with many malls in the past, and continues to do so today. Call us today about our heating repair services in NYC. Heating Installation is a delicate task in shopping centers where many stores share roof space together. Installation of new heating systems should always be handled by professionals who understand the parameters set by the mall. You want to make sure your system is efficient on its own, and installed properly so that other systems don’t interfere with it. Are you swimming in bills from your HVAC repair company? It’s possible that your heating system is in dire need of a replacement. The benefits of replacing your heating system are massive. For starters, you can save huge earnings on energy rates, as well as avoid service loss. Call Air Repair today so that we can tell you about the benefits of replacing your heating system. Maintenance is the glue that keeps your HVAC systems together. In outdoor shopping centers where emissions, and pollution are more common there is far more work for your systems than other places. This is why it’s imperative that you supply your HVAC systems with the routine care they deserve. When air conditioning systems receive more attention they perform better, for longer periods of time. It’s not just about replacing filters, and changing belts. It’s about performing an inspection of the system each and every visit. It’s about getting to know the system, and developing a relationship with it. Almost like that car you love.